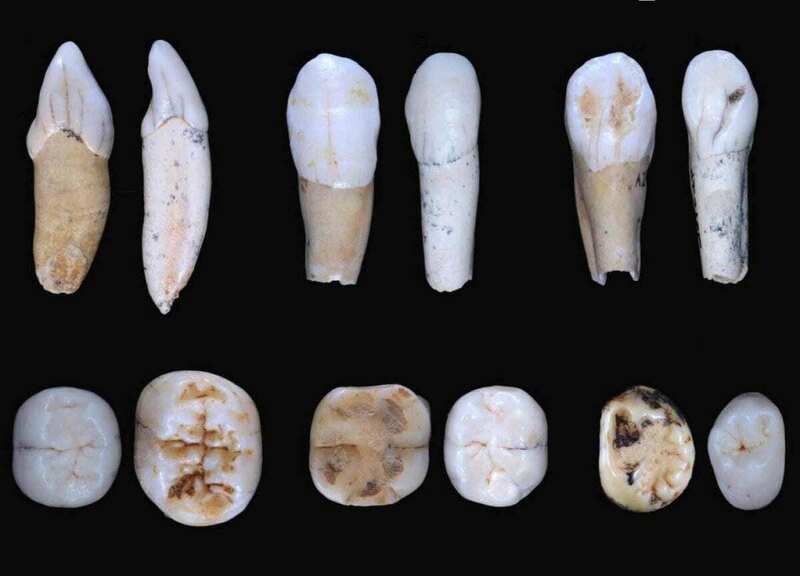 The Dental Anthropology Group of the Centro Nacional de Investigación sobre la Evolución Humana (CENIEH) has analysed dental samples from two of the most important Middle Pleistocene archaeological sites in Europe, the Arago Cave, in southern France, and Sima de los Huesos (Atapuerca), in northern Spain. The study compared systematically for the first time, and whose results show that the hypothesis of a linear evolution in a long process of “Neanderthalization” is not supported. This is a metric and morphological comparative study which makes clear that the teeth from the two sites are very different in size and shape. Certain traits reveal that they had a common origin, but the majority of the dental features suggest two distinct European genealogies. The hominins from Arago are of archaic appearance, while those of Sima de los Huesos show notable similarities with the Neanderthals. The majority of the human remains from the French site are of similar chronology to those of Sima de los Huesos, 430,000 years, to which the geographical proximity, with barely 800 kilometers separating the two locations, must be added. “If the hypothesis which proposes a local, linear and continuous evolution in Europe is correct, the fossils from the two sites ought to be very similar”, affirms Bermúdez de Castro. For decades, experts have suggested that almost at the start of the Middle Pleistocene, a period which lasted 660,000 years, the European continent was colonized by a new human population which brought with it Acheulean technology and perhaps mastery of fire. Throughout this long period, an evolutionary process took place that culminated with the appearance of Neanderthals on the scene. But the latest findings in different points in Europe have raised doubts about this linear model. And, as Bermúdez de Castro comments, perhaps it wasn’t all so simple. “A couple of years ago, we proposed that the gates of Europe might have opened several times, letting in human groups from the southwest of Asia which also had a common origin. Our results merely underline that we are now faced with a new challenge: to rethink the whole of human evolution on the old continent. Perhaps the Neanderthals originated outside Europe”.